University of San Diego students at the drag show. 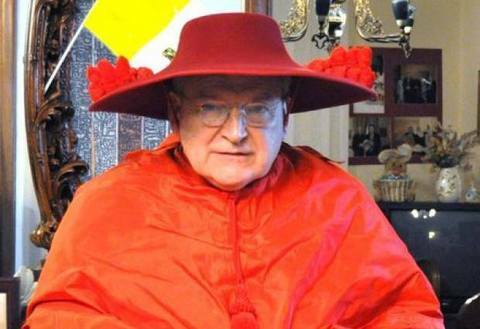 The decision by the University of San Diego (USD), a Catholic school, to host a drag show was controversial, catching even the Vatican’s eye. However, one professor there says there is much more to this drag show than critics understand and it should be a moment for learning. 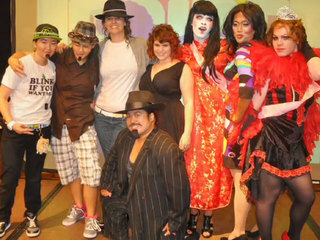 “Supreme Drag Superstar III” was the third annual drag show at USD, hosted by the campus’ LGBT group called PRIDE and promoted as a “celebration of gender expression.” According to U-T San Diego, the show features “a brief academic talk on the history cross-dressing and information booths,” in addition to the costumed musical performances. Two local attorneys, Charles LiMandri and Thomas McKenna, protested the drag show by writing to the Diocese of San Diego and the Congregation for Catholic Education at the Vatican. The Diocese refused to comment and the Congregation turned down their complaint as it “lacks standing” for action against the University. “Pope Francis wrote in Evangelii Gaudium: ‘Whenever we encounter another person in love, we learn something new about God’ (no. 272). The pope reminds us that ‘A Church which goes forth is a Church whose doors are open. Going out to others in order to reach the fringes of humanity does not mean rushing out aimlessly into the world. Often it is better simply to slow down, to put aside our eagerness in order to see and listen to others.’ (no. 46). What powerful words in this context– What would it mean to have the doors of the church open to the transgender community? What would it mean to walk with students who are questioning their gender identity?…if the drag show helps GLBTQ students and their allies at my school to know that they are loved, supported, and included in this community, then we are doing something good and something special. Drag shows have previously caused controversies at Catholic schools and parishes, including in San Francisco and in New York. Thankfully, the University has defended the student-led drag show to promote awareness of the complexities surrounding gender and sexuality. What if other Catholic institutions, often so quick to shut down such initiatives, thought like Reimer-Barry and saw drag shows as an opportunity to see God in new ways and offer support to LGBT people? I have a good friend who is a Sister of Perpetual Indulgence. Have any Sisters been invited to participate and tell their story? They are fabulous and constantly do charitable works.